Every year when we do the ballot nominations for the Poppies, there's something added by one of the judges that was never on my radar. Something that skipped past me, and it's always really, really cool. 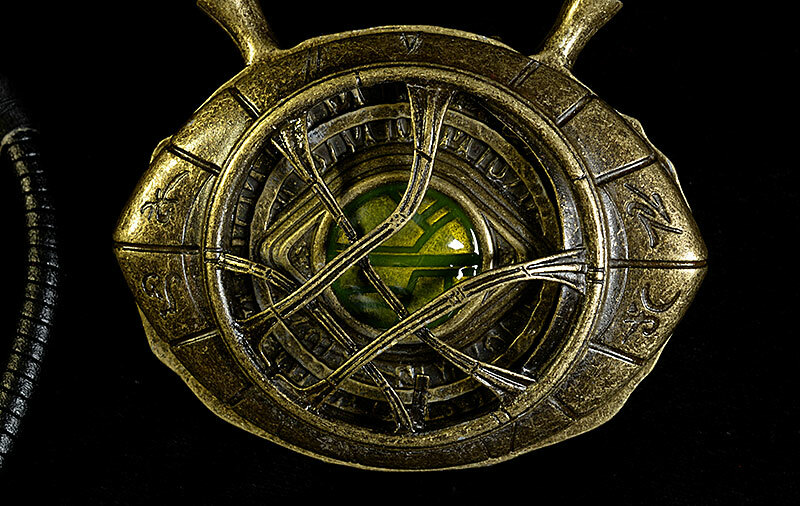 On this year's ballot, it's the Eye of Agamotto prop replica by SalesOne. It's sold through ToyNK, one of the retailer judges for the Poppies. I didn't buy a lot of prop replicas in 2017, but when I saw this (and it's price point), I knew I had to pick it up. You can still do the same, and it will run you around $64. There's free shipping as well, making it a very inexpensive replica. This is a piece of jewelry - a very powerful one of course, but still jewelry - and it comes in a box appropriate for such. 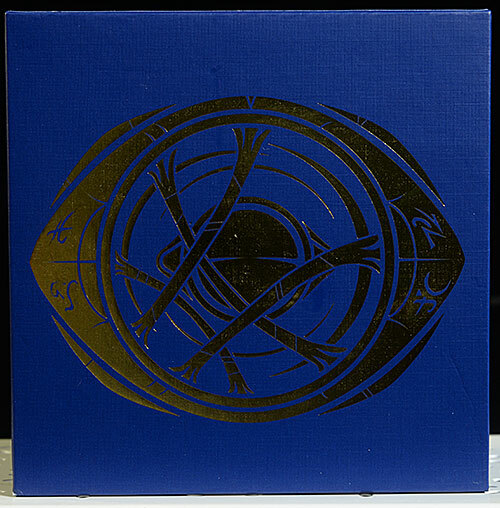 The square box has gold foil graphics on the exterior and interior, and includes a Certificate of Authenticity. There's no edition size or numbering, however. It's all collector friendly, as you'd expect with a replica like this. This is a full scale, 1:1 prop replica. It's a pretty big item - you won't wear it to a party and not get noticed. It's about 4 inches across the front of the 'eye', and the size looks about right compared to what we saw on screen. 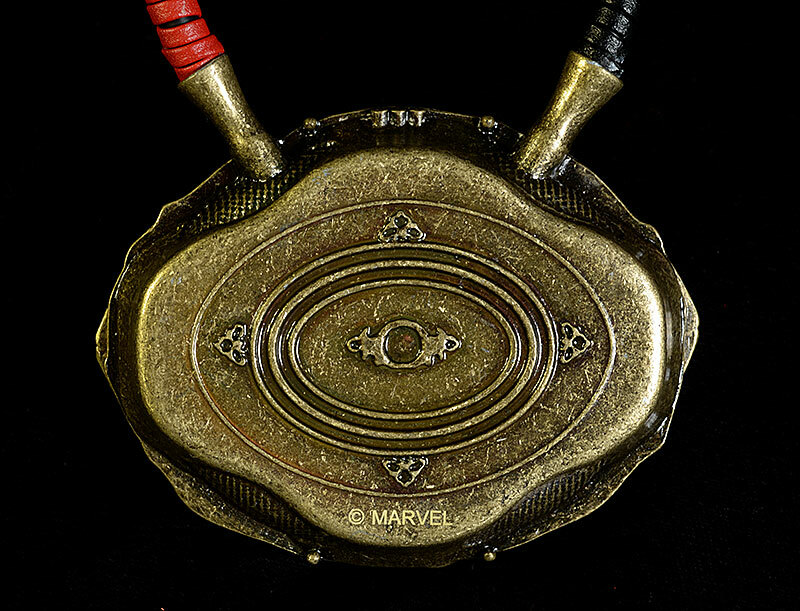 The eye, including the two 'horns' where the thick necklace attaches, is made of metal. 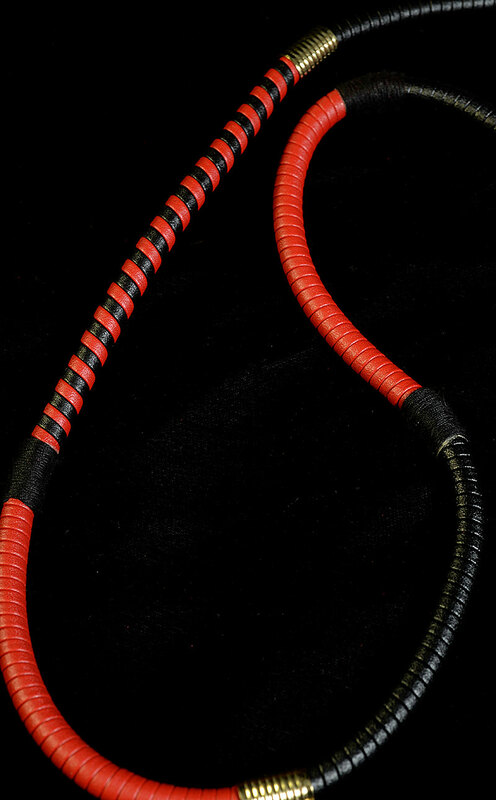 It has a nice heft and feel, and because of this hangs naturally on your chest. It does hang low, however, at least for me. 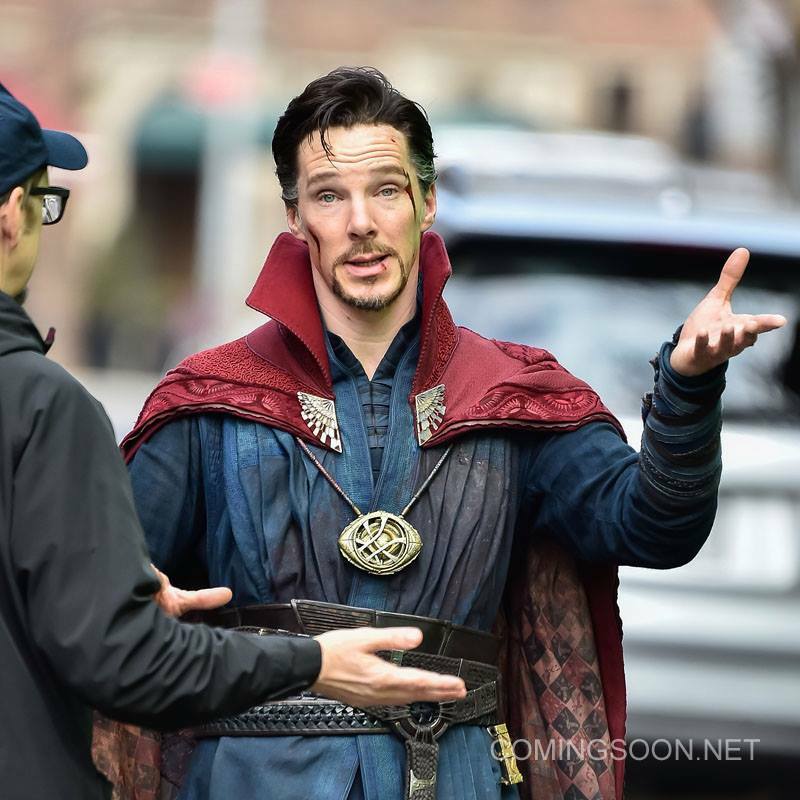 I'm 5' 9" tall, 3" shorter than Benedict Cumberbatch. The eye does lay fairly low on him, as you can see in this photo. For a shorter person, this means it's almost at belly height. I don't have a problem with that in theory - we want accuracy, of course - but I do think they should have come up with a way to adjust the necklace, so those of us who are vertically challenged could create a better look. You can find ways to alter the necklace yourself that won't permanently damage it of course, but it's my one nit with the overall construction. 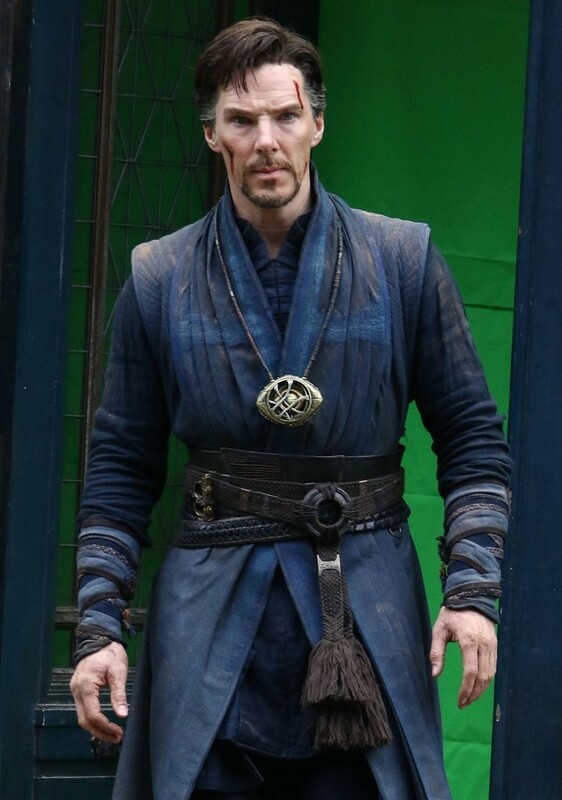 On the plus side, the long necklace will allow cosplayers to wear the eye wide on their shoulders, like you see in this photo, underneath the cape. The overall sculpt is fairly accurate, not just in size but in detail. The sculpt is a little soft, and some of the edges and lines could have used a sharper cut. There's one aspect that doesn't look accurate to the on screen version - those horns I mentioned. I looked at several photos where he is wearing the eye, and didn't see these two metal connectors in any of them. 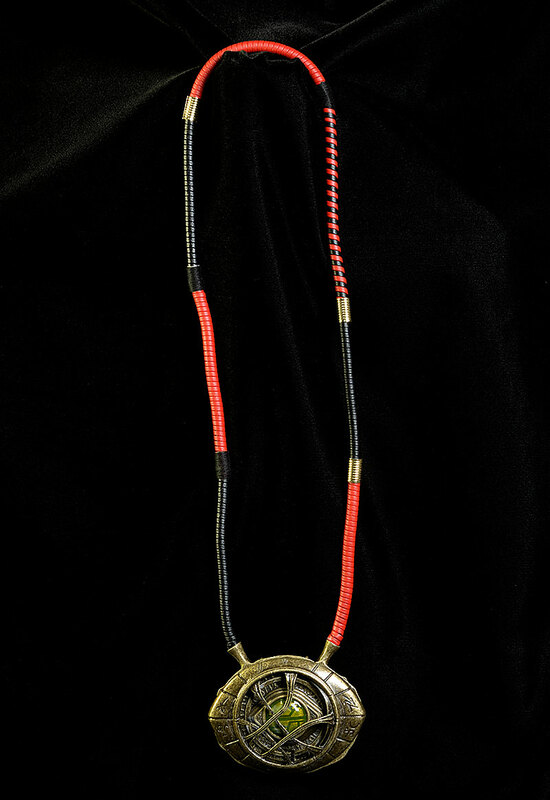 Perhaps this was the easiest way for the manufacturers to create a safe, solid, sturdy connection between the metal eye and the soft necklace. The intent here is clearly for this to be worn, and cosplayers wouldn't want it to break or snap if they snagged it on something during normal use. The lace necklace is quite sturdy as well, and very thick. The gold sections are not metal, but plastic, and the various sections are wrapped in different ways, adding some additional visual flair. The paint work isn't complicated, but it's realistic. The metal isn't just metal - it also looks like metal. There's a burnished, worn appearance that matches the on screen look. The center eye itself has a translucent front, and catches the light nicely. The multicolored wrappings are a nice touch, and the gold pieces separating the lacings look real enough that I had to look twice to realize they were plastic. This isn't just a prop replica you hang on the wall. The construction and price point make it clear - this is to be worn and handled. 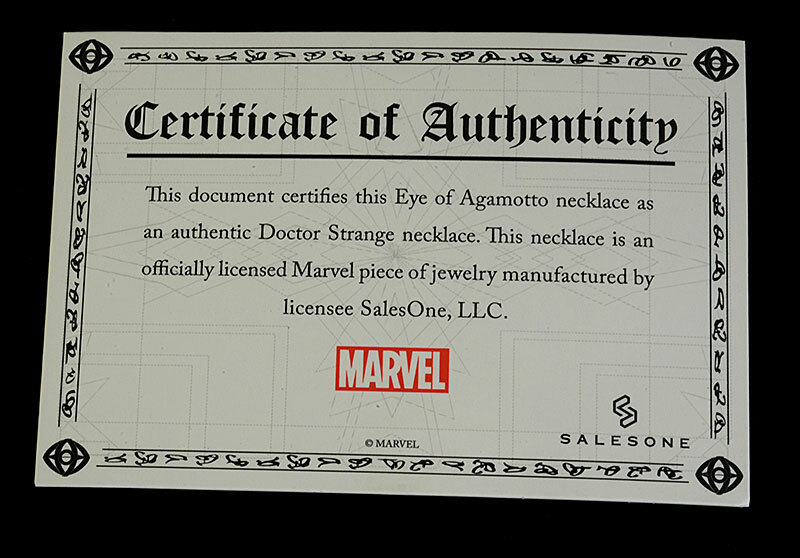 It's ideal for folks looking for a high quality yet sturdy Eye of Agamotto to complete their Doctor Strange cosplay. Prop replicas tend to bring high prices. A big part is the license of course, and the Marvel license for any of their hit movies can't be cheap. 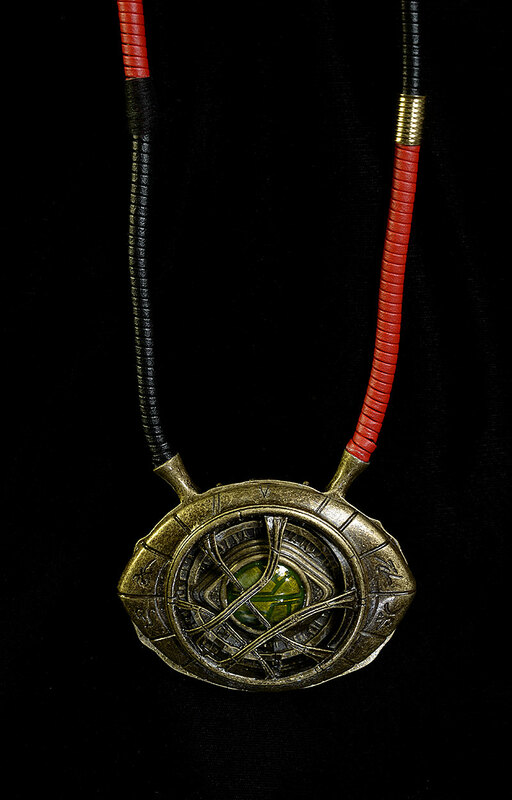 Another big part is the scale - replicas are never 'small', even something like this necklace. And of course, there's the realism. You can't make a replica that's not a good match, and that usually means using higher quality materials, like metal, to make them. All those factors mean that a $64 price tag is awfully good. I was pretty surprised this was selling for under $100, to be honest, and when you throw in free shipping? Yep, that's a terrific deal. I bet you haven't heard of SalesOne before. They aren't known for their prop replicas or collectibles - they make jewelry. Which is why they were the perfect choice for something like this. They knew how to make it in a way that it could be worn and used, and they could do it for a price the average Joe or Jill could afford. 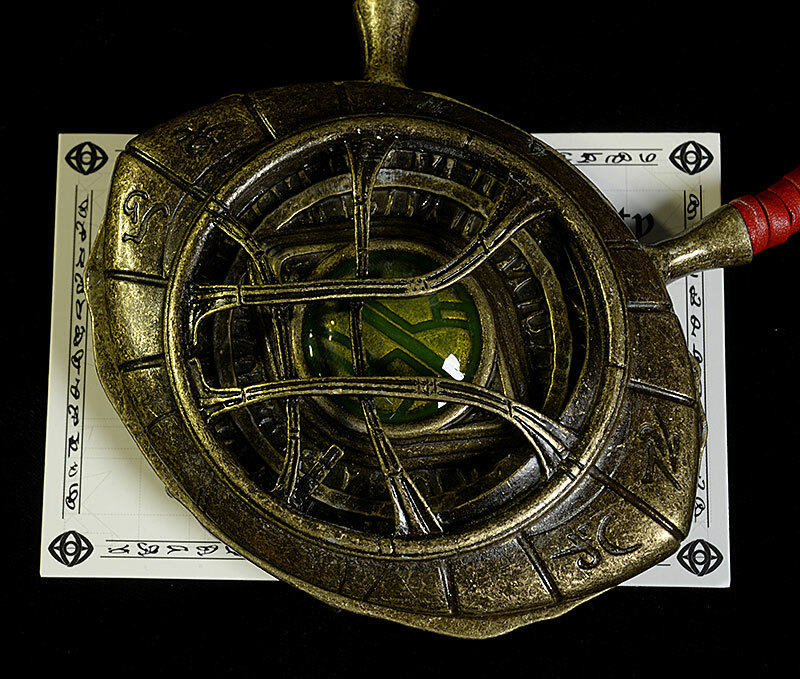 You know how you know a prop replica is really, really good? Because it suddenly inspires you to go out and look for other parts of a costume to cosplay a character. My first thought after receiving this was "I wonder where I can get a cape...and a sling ring". Not that I'm ever going to actually cosplay anything - I like being married - but this must be a good replica if it even gets me to consider it. The place to pick this guy up is ToyNK, where he'll run you $64 with free shipping. Or you can always search ebay for a deal. I've covered a couple terrific Doctor Strange action figures, including the very high end Hot Toys version, the big 1/4 scale version from NECA, and the smaller, cheaper Marvel Legends release.